dream giver redux | discography | lostboy! 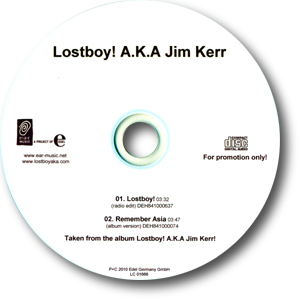 aka jim kerr singles | lostboy! home > discography > lostboy! aka jim kerr singles > lostboy! These smart promotional CDs were probably pressed as promotion of the Electroset Tour. They include Remember Asia (probably a contender for third possible single) and an exclusive radio-edit of Lostboy! Copies were issued as plain CDs with no sleeves.